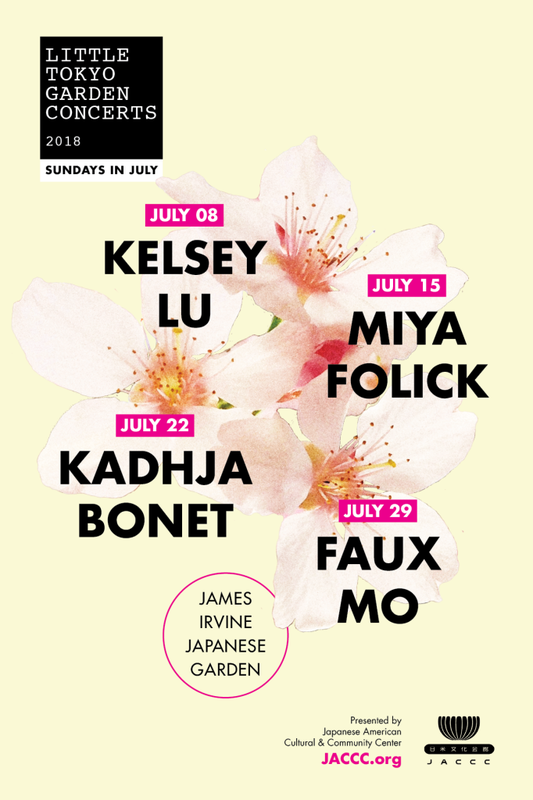 Little Tokyo Garden Concerts, now in its 4th season, invites new audiences to experience exceptional live music within the beauty of the James Irvine Japanese Garden. As this hidden Japanese garden was intended to be ‘happened upon’ or discovered, this concert series honors this spirit with an understated approach and presentation. Donburi bowls for purchase provided by Gentaro Soba. No host bar serving sake cocktails, beer, and other beverages. Cash is preferred and will be quicker for you, but credit cards will be accepted.